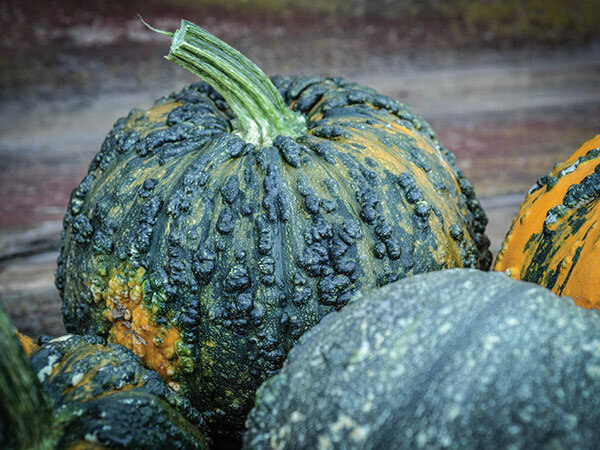 Also known as Oil squash. 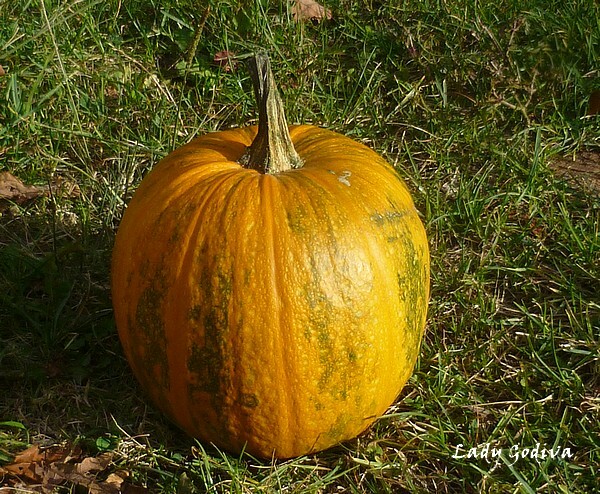 Lady Godiva Pumpkin was developed by Allan Stoner of the USDA Agricultural Research Service in 1972 for the hulless seeds as a snack food. 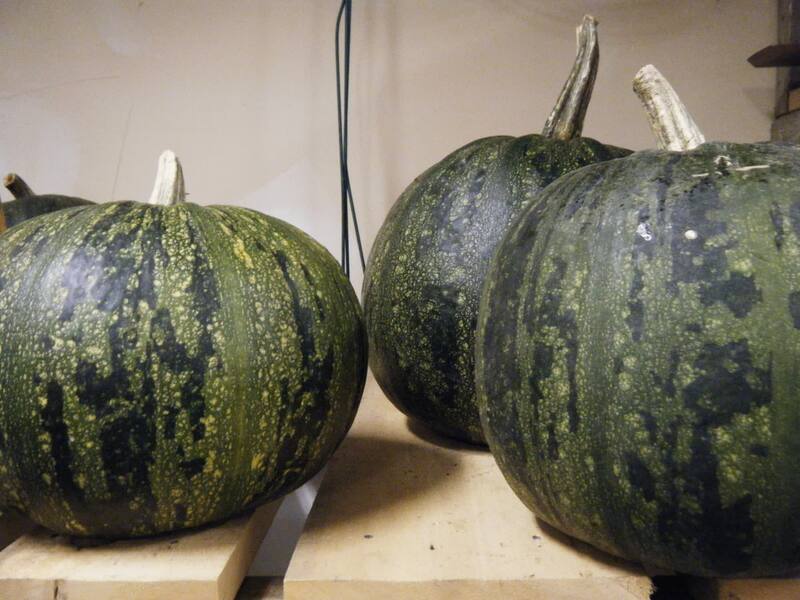 He combined two other naked seed pumpkin lines for better flavor and production. The naked or hulless greenish seeds are very nutritious and rich in protein and are great roasted or raw. 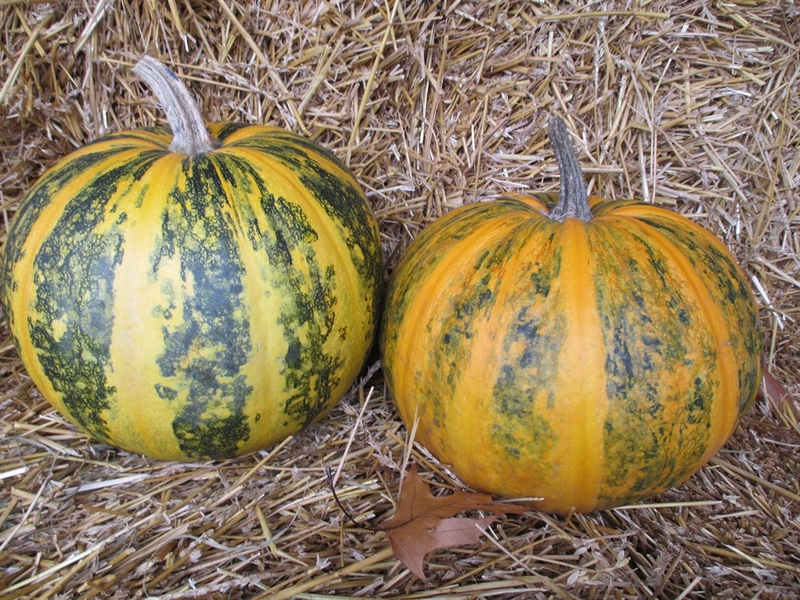 The pumpkins grow 4 - 8 lbs, with 12 - 15 pumpkins per plant and give about 1 lb of seed for each fruit. 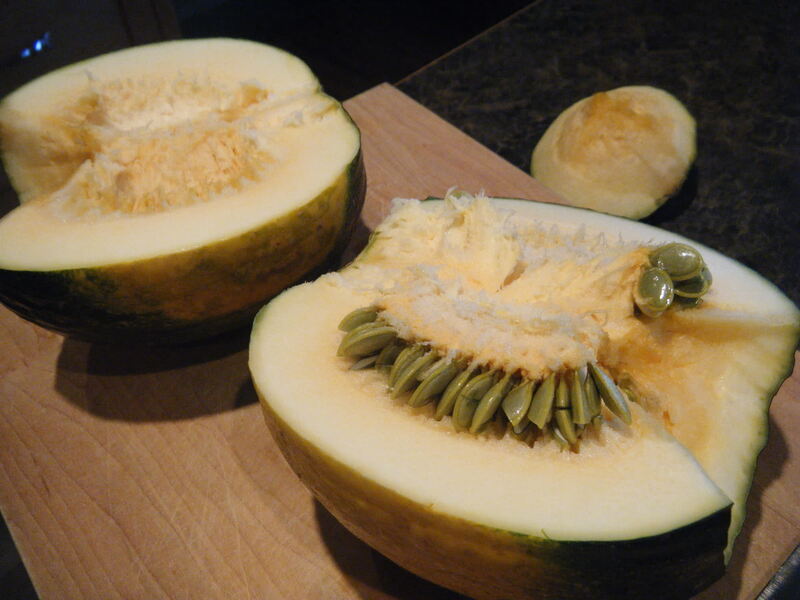 The flesh is not considered to be very tasty, but does work well in sweet pumpkin breads or pancake recipes. It offers 6 to 12 fruits per foot. growth: 110 to 130 days. use: Dried seeds, raw or roasted for aperitif. Revitalizing oil can be made from the seeds. 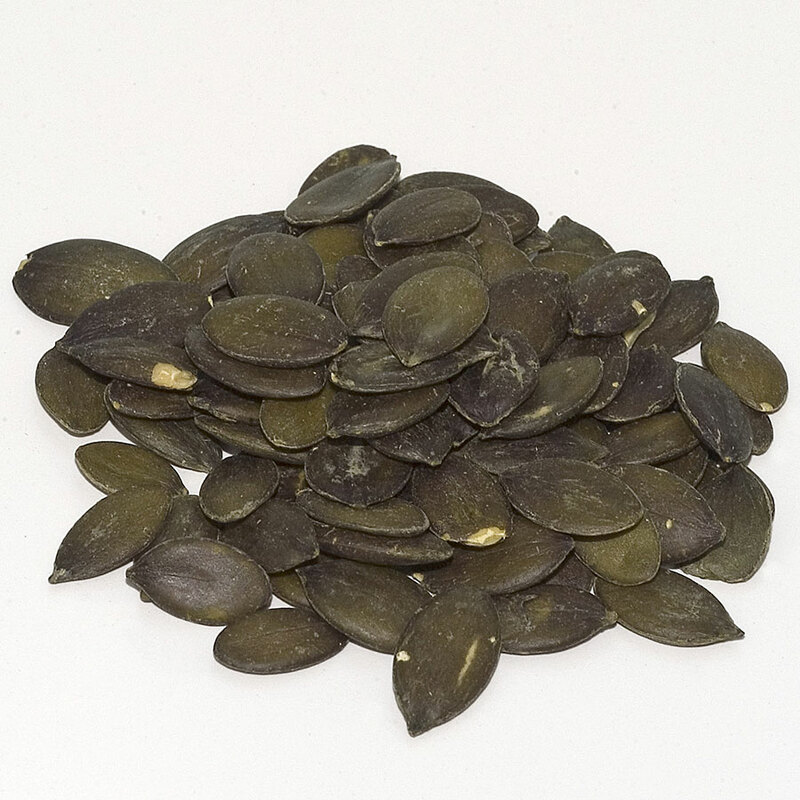 The seeds have deworming properties. They have a beneficial effect on the prostate thanks to their wealth of zinc. conservation: 3 to 5 months. 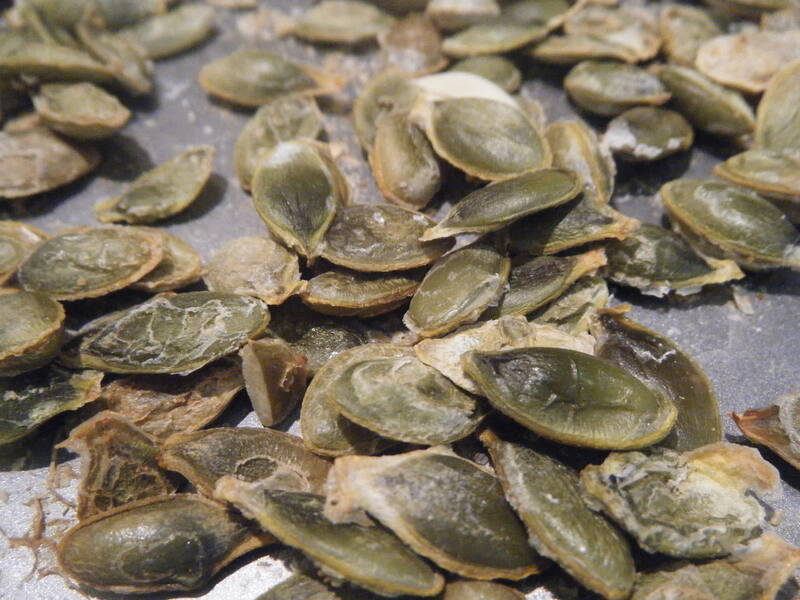 Roasted, salted pumpkin seeds, also known as "Pepitas" are easy to make. 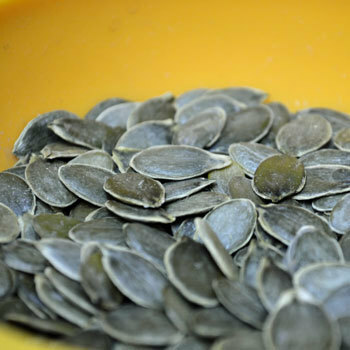 Remove and clean the seeds, then drizzle with olive oil and roast on a cookie sheet in the oven at 150 - 200�F for 45 - 60 minutes until crunchy. 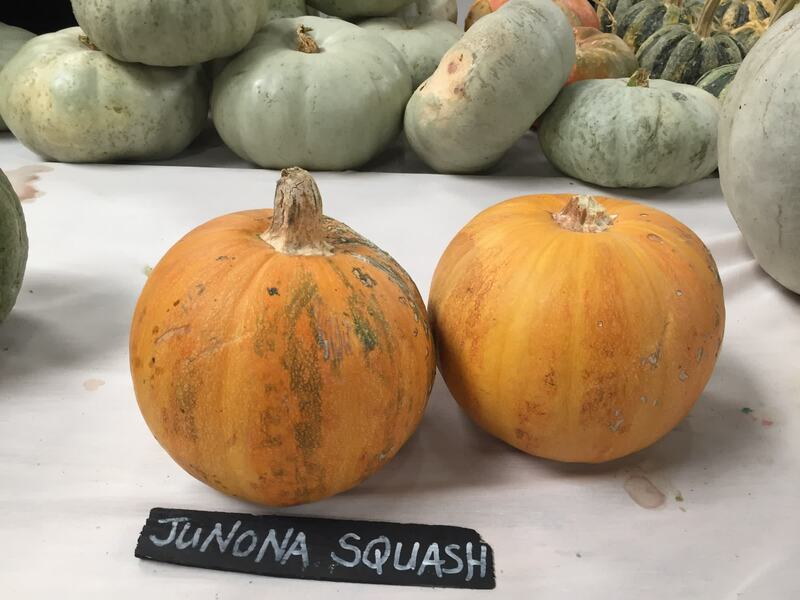 This variety was introduced in 1972 by Alan K. Stoner (USDA Agricultural Research Service). 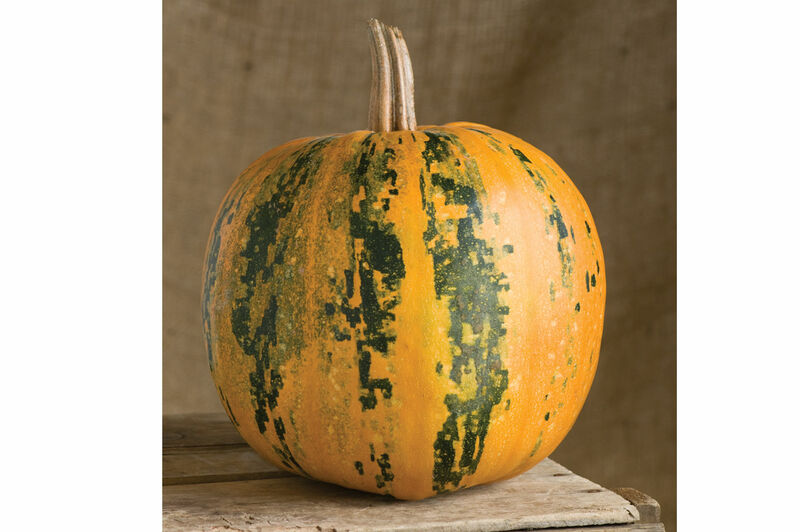 It comes from a cross between two varieties of naked seed squash "PI 267663" (developed by LC Curtis of the Connecticut Agricultural Experiment Station in the 1940s) and "Beltsville Accession 102" (marketed by Agway in 1965). She is also called "Naked Seedeed" and "Hulless". 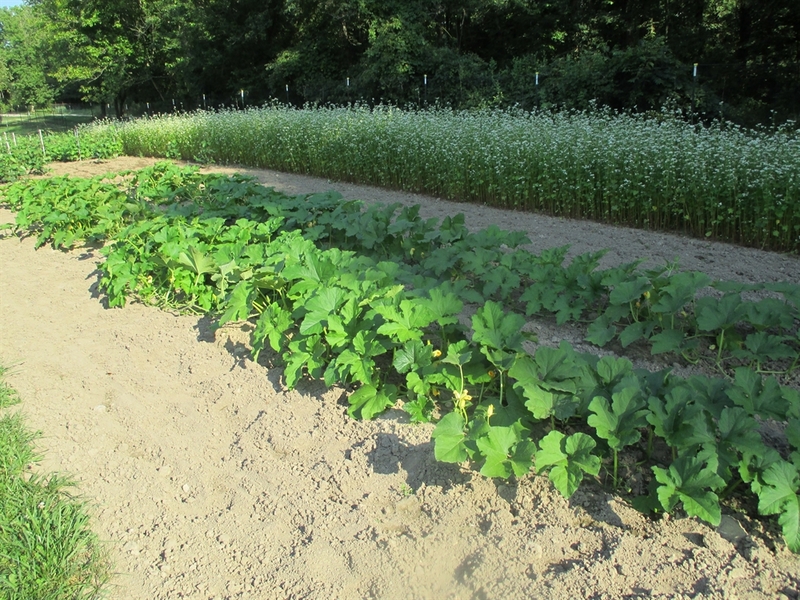 Many gardeners will harvest the hulless varieties somewhat green, as they can be prone to sunscald. 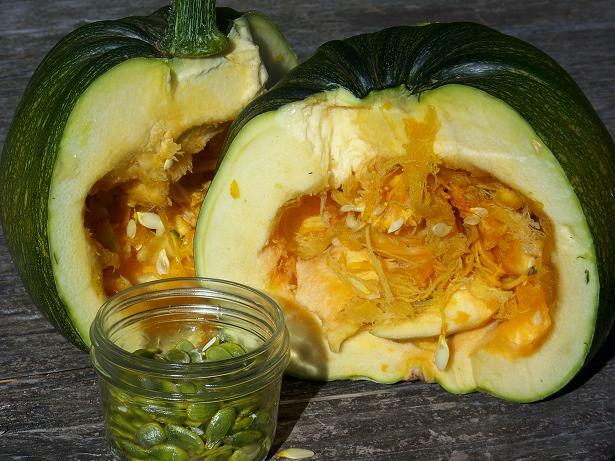 It is best to harvest the seeds fairly soon after picking - within one to two weeks - as they do have a tendency to sprout inside the pumpkin if left too long. 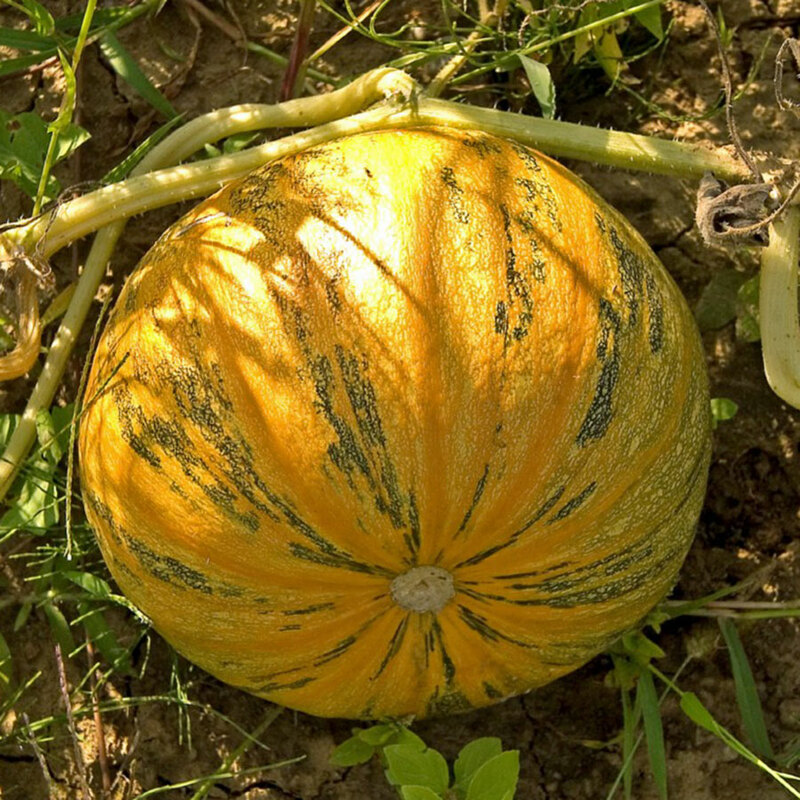 Styrian - This pumpkin was developed in the province of Styria in Austria and has been documented since 1870. 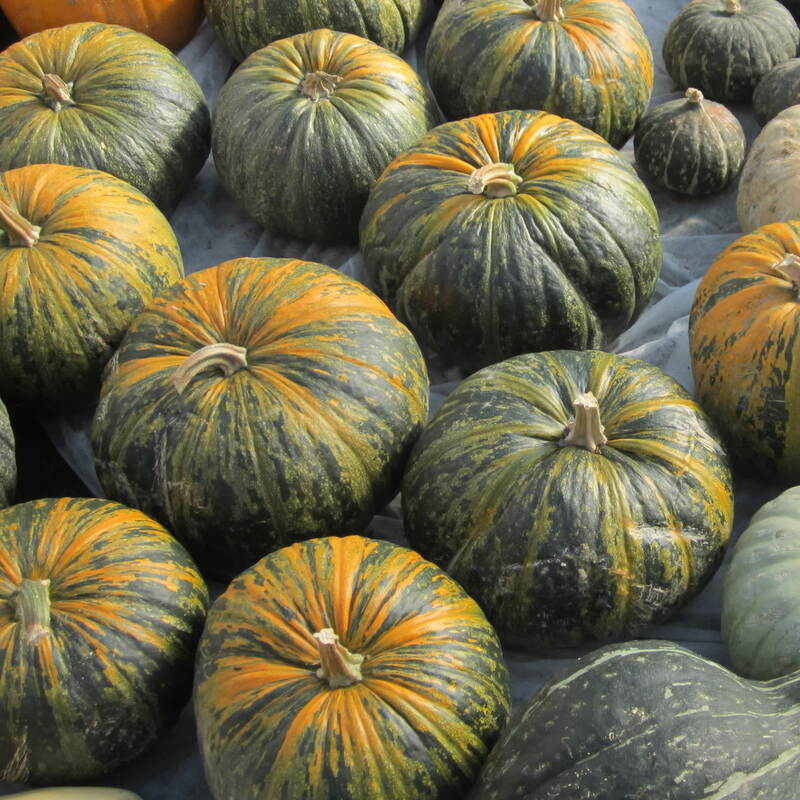 In Eastern Europe in the region of Austria, Yugoslavia and Hungary pumpkins are often used for livestock feed. 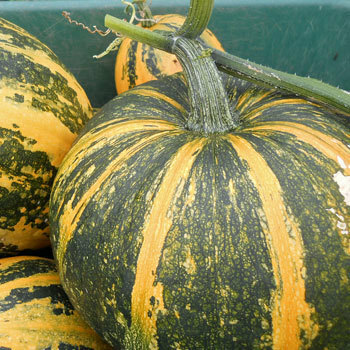 The Hungarian Mammoth Pumpkins (Cucurbita maxima) could easily exceed 100 pounds. 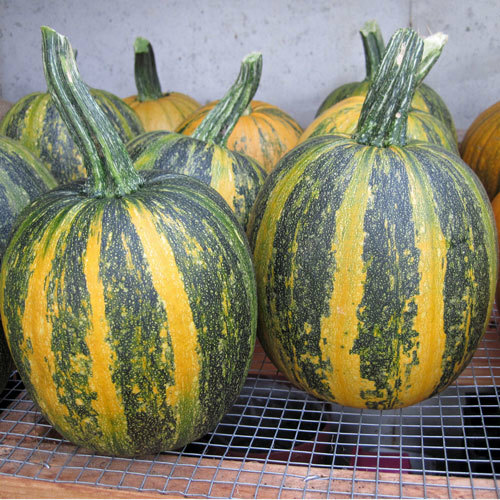 Much smaller are the Styrian Pumpkins (Cucurbita pepo) of the same region, only a few pounds, which not only fed livestock but the seeds; rich in oil, were removed to press into a dark green oil used in salads and drizzled into soups and pasta. In Stryia it is as popular as olive oil and imparts a pleasant nutty flavor. 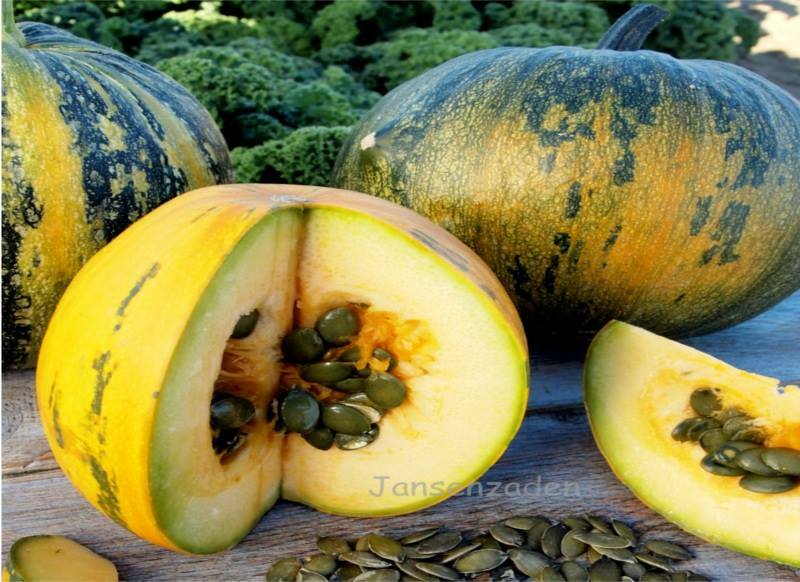 The interesting trait of the Syrian Pumpkin, sometimes called Kakai are the seeds that are naked. They lack a testa or seed coat. 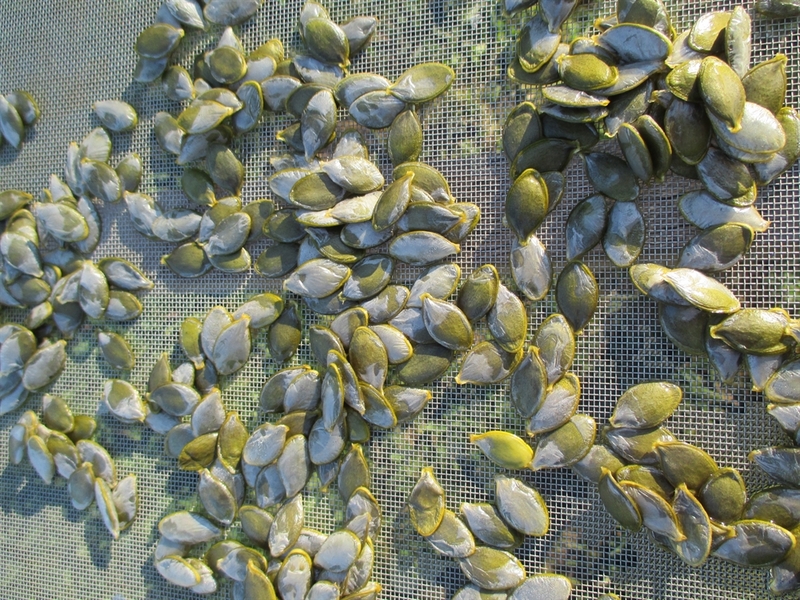 When snacking on pumpkin seeds, the seed coat is the white shell that has to be removed because of it's toughness. 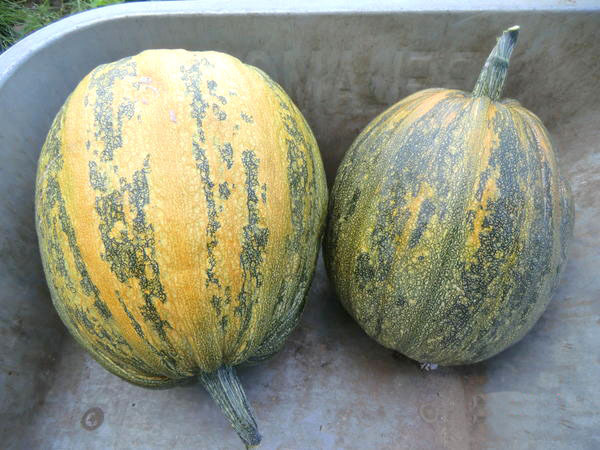 Styrian and other naked seed (or snackseed pumpkins) either partially lack the tough seed coat or in some cases, completely lack a seed coat. Kakai - Avg. 5-8 lb. Semibush, short-vine plants. Avg. yield: 2-3 fruits/plant. 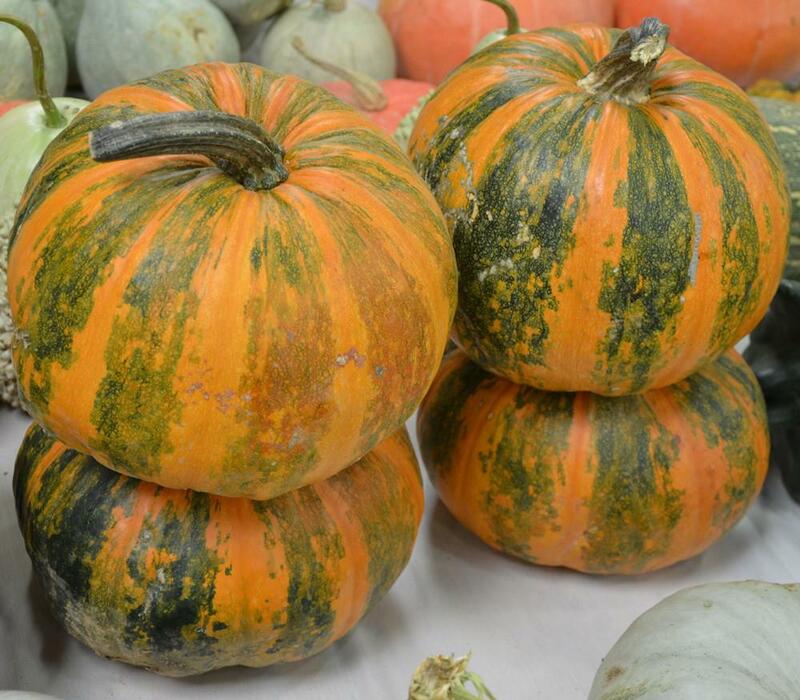 Beautiful, warted, orange and green striped fruits weighing 5-10 pounds. 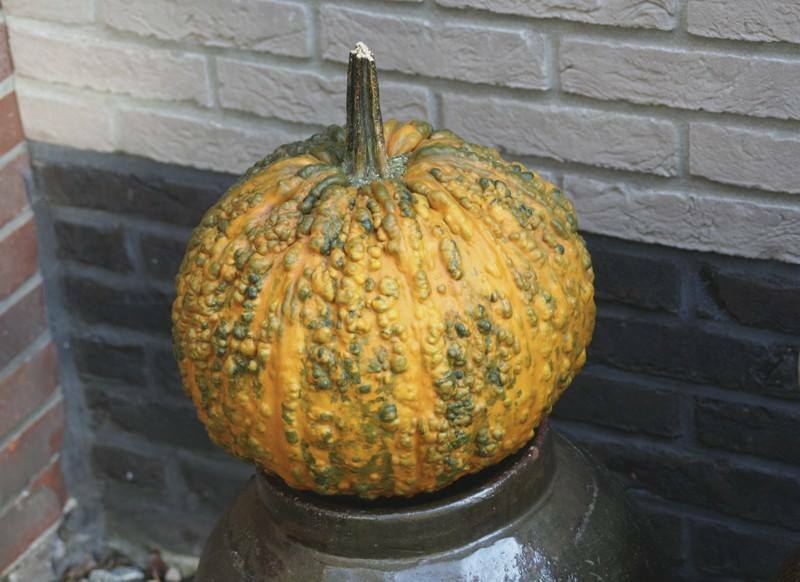 This is a great choice for fall decorations. 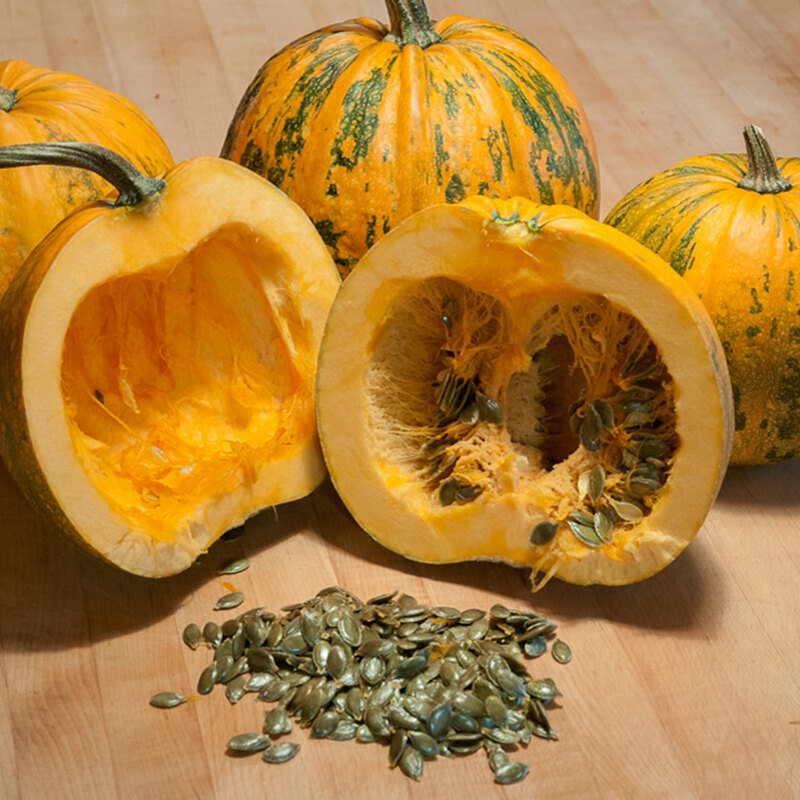 This was developed as an oil seed pumpkin so the seeds can be pressed to yield a dark nutty oil perfect for salad dressings or as accents in squash soups. Also, the flesh is good to eat. 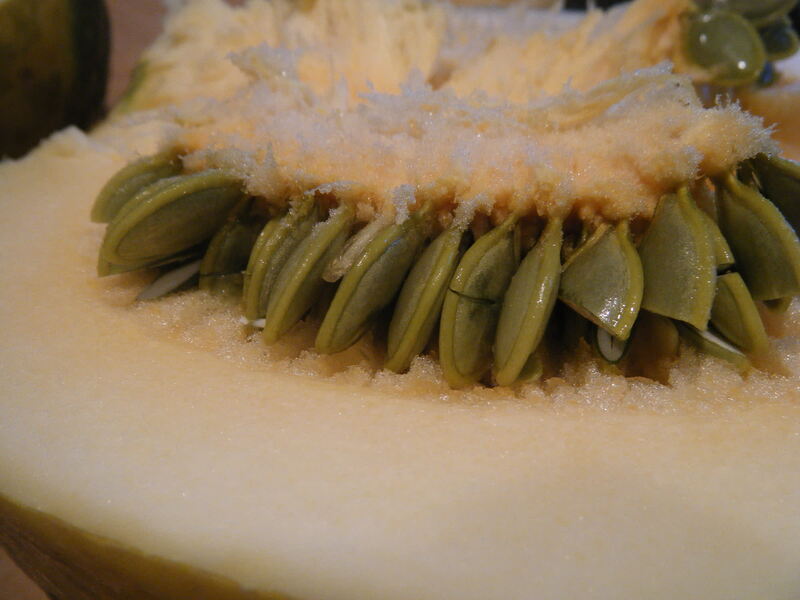 You can bake it like spaghetti squash because it has a similar texture. 85 days. 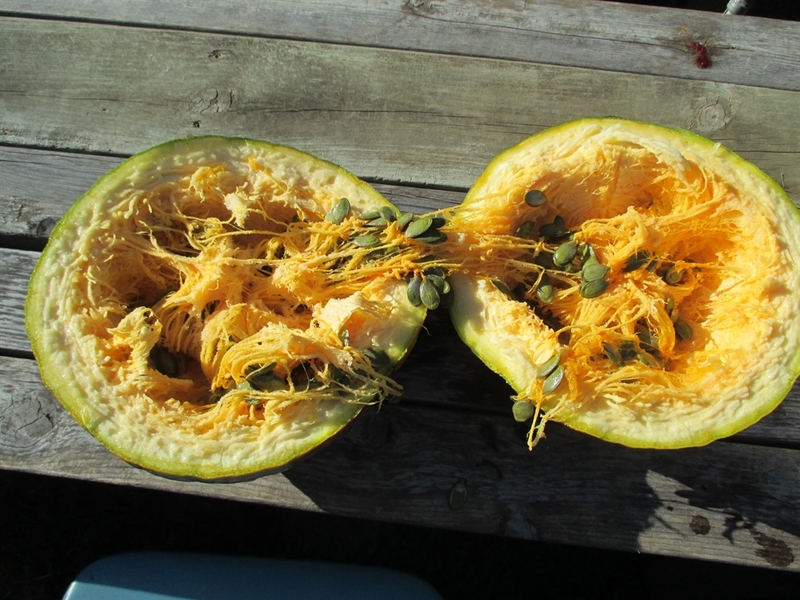 Large, hull-less seeds, flesh great for breads and cake. Like Kakai, but more yellow and warty. From the city of Yerevan, Armenia. 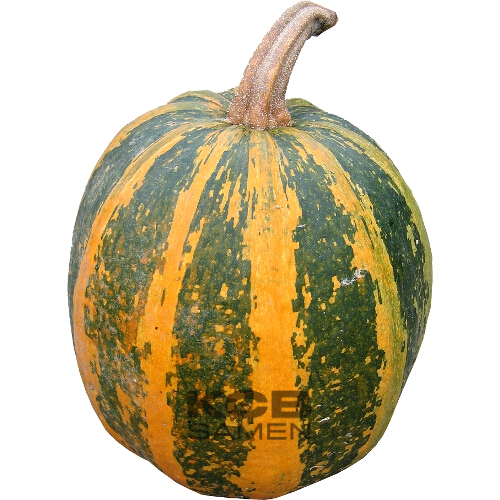 Everywhere that one goes in Eastern Europe there are forms of Cucurbita pepo squash that are a little longer than they are round. 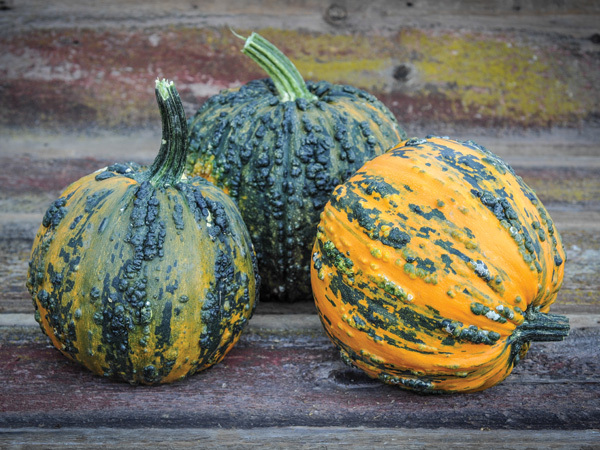 A good majority of these squash originated in Austria and Hungary and are called � Lady Godiva Pumpkins�. That is because a good percentage of them were selected for their � naked� seeds ( hence the Lady Godiva moniker). 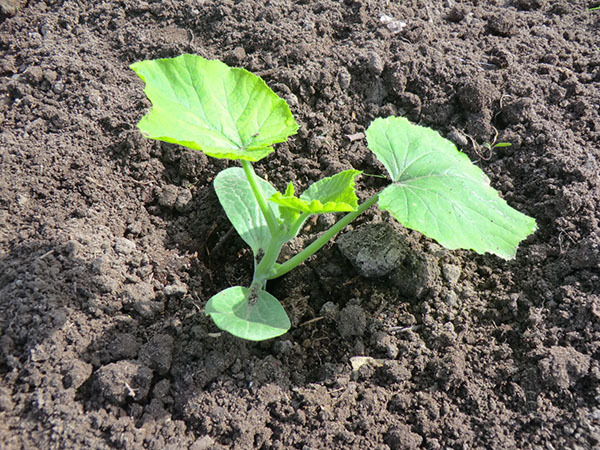 In November 2011, Joe was on a squash collecting expedition to Armenia and Georgia. He collected what is simply called here the Yerevan Armenian Squash at one of the farmers markets in Yerevan. 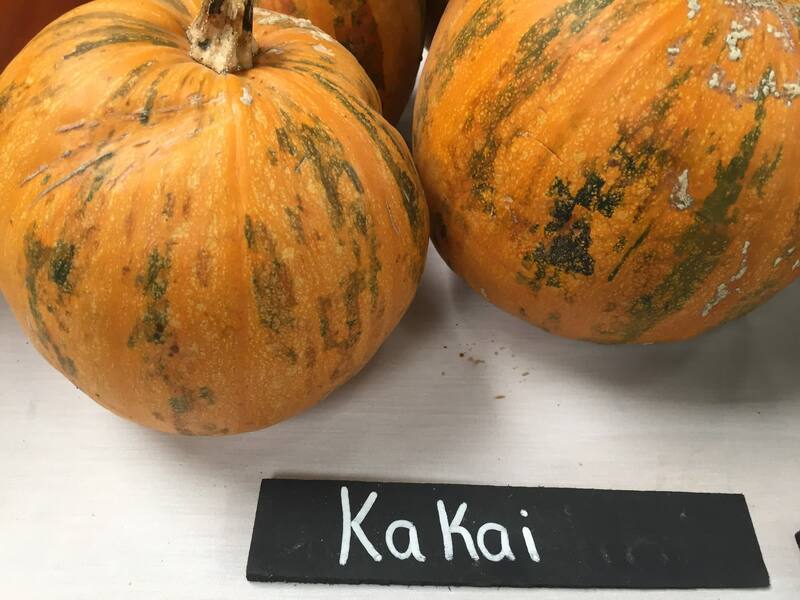 The seed available here was grown out by Laurel Mehl of Coral Tree Farm in Encinitas, California. 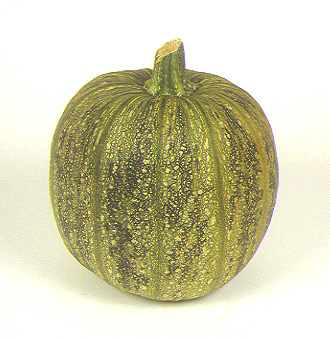 The squash are large golden-orange and attractively different because of their rough and ribbed fruits. 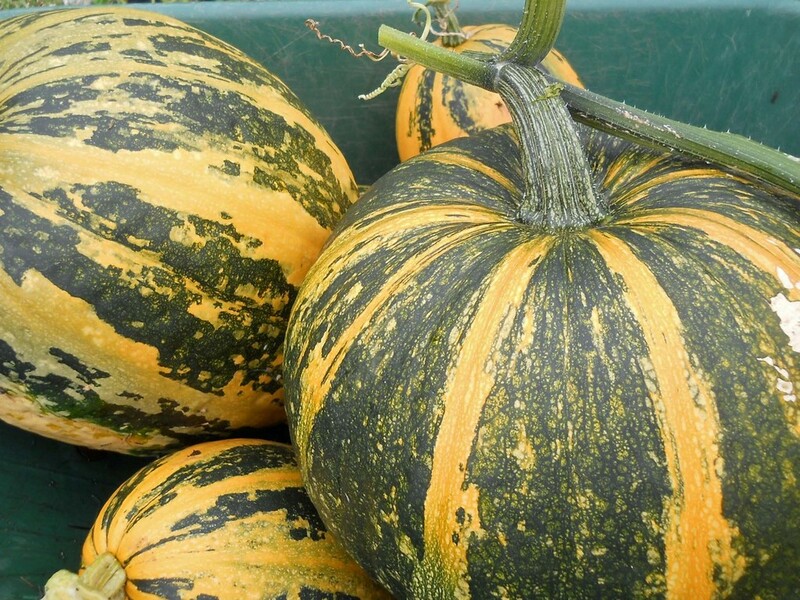 Very decorative, but also worth growing for their food value. 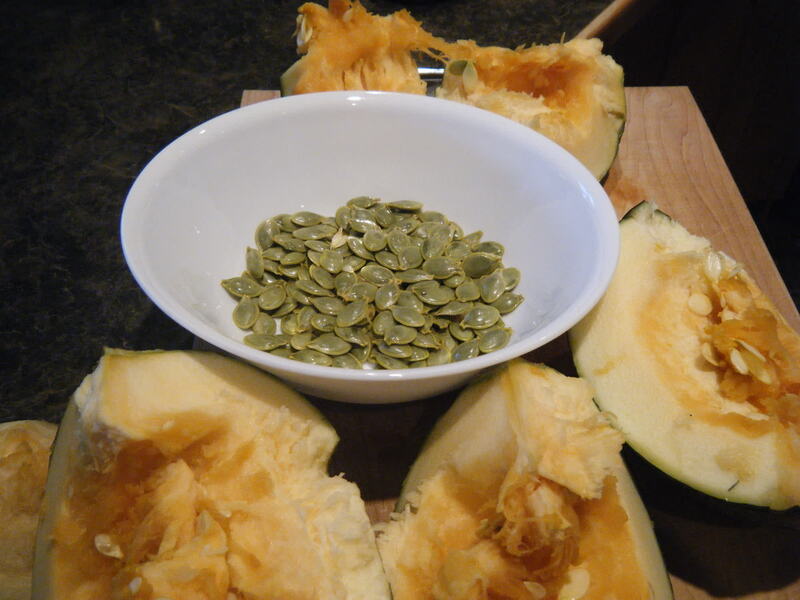 And for �pumpkin seed lovers�, the seeds- either raw or roasted -are a delicacy. Ukrainian naked seed variety. Semi-bush plant. Round flattened fruit. Average weight 2.5-4 kg. / 5.5-9 lb. Light green to white, naked seeds. High oil content. Seed yield not very high. Taste of fruit is mediocre. 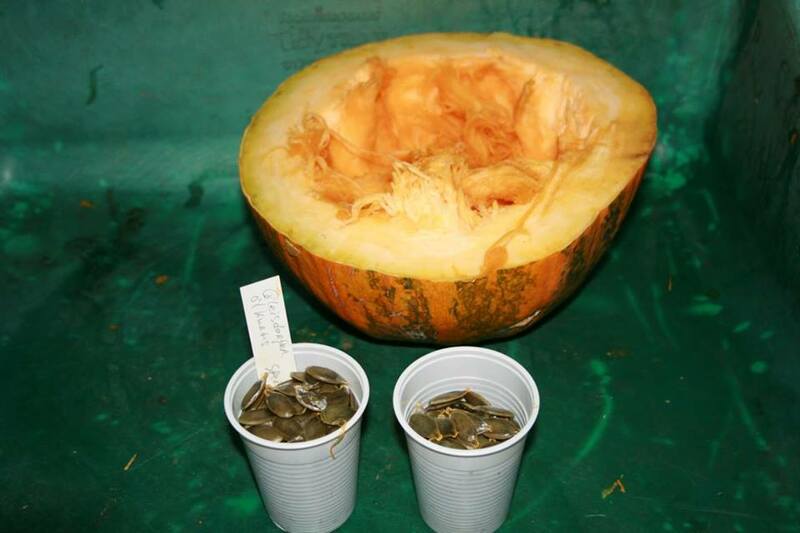 Gleisdorfer Naked Seeded Pumpkin or Oil Pumpkin was developed at the Gleisdorf Seed Breeding Institute in Austria. 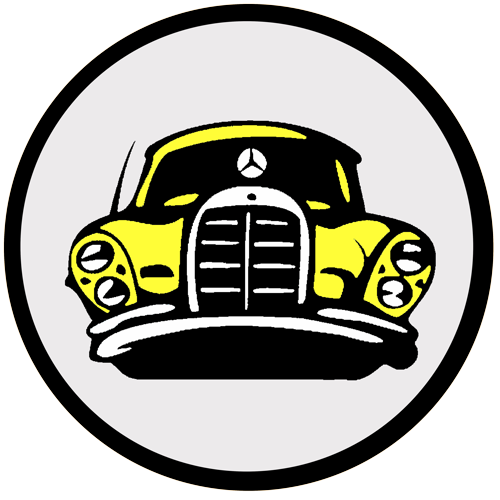 The plant was licensed in 1969 and introduced commercially in 1970. Hybrid varieties include Gleisdorfer Express and Gleisdorfer Diamant. 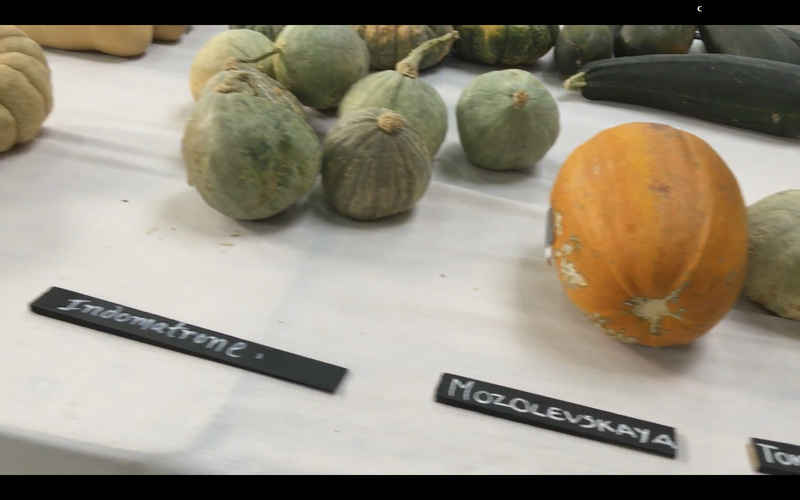 This variety originated in Russia. Maturity: 100 days High-yielding, tasty, with orange pulp Mid-season variety. The vegetation period is 118-120 days. Universal use. 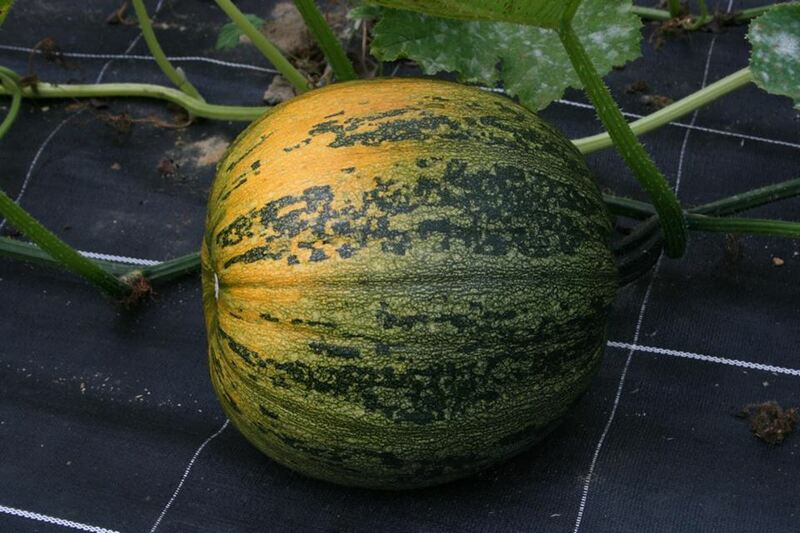 The plant is long-pleated, the length of the main lash is 4-9 m. The fruit is oval, slightly ribbed, weighing 4-8 kg. The surface is slightly ribbed. The rind is hard, ligneous, thin, with wide, longitudinal, torn stripes in the form of spots. The pulp is orange, dense, slightly fibrous, sweet. Transportability and keeping quality average. Relatively resistant to diseases. Productivity and taste high. 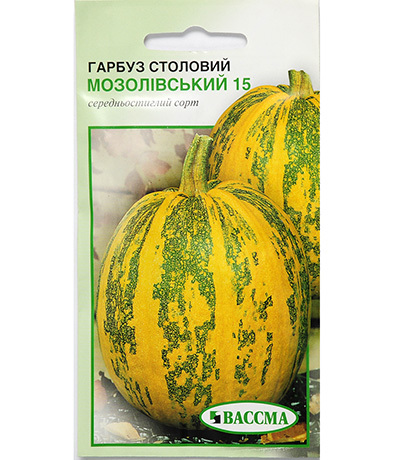 Recommended for cultivation in all areas of Ukraine.